As summer progresses and temperatures continue to inch higher, the water needs of your lawn will continue to increase. This means not only a bigger water bill, but also potential strain on the local water supply as homeowners start watering their lawns more. Fortunately, there are a few simple things you can do to reduce water waste and help your lawn and plants thrive. Install a sensor. It doesn’t make much sense to water your lawn while it’s raining, yet some home and business owners that use timers for their watering needs end up doing just that, even during torrential downpours. This waste can be prevented from happening by attaching a rain sensor to your irrigation timer. Rain sensors are able to read the weather conditions and slow down or stop the flow of water from your sprinkler system once the rainfall reaches a certain amount. Adjust sprinklers and irrigation heads. There’s nothing more wasteful than watering your driveway and walkways along with your lawn. Usually a quick adjustment to your sprinklers or irrigation heads is all it takes to reduce or stop this overspray. Did you know that in most areas, a lawn only needs one inch of water a week to sustain itself? Unfortunately, many homeowners water their plants and yards much more than this. If you’re not sure how much water your lawn is using, set a rain gauge in the ground to help keep an eye on amount of water you’re using, and reset timers as needed. Most irrigation systems that use pop-up sprinkler heads will distribute the same amount of water in 20 minutes that you would get over several hours of steady rainfall. This quick method of watering often results in excess runoff because the ground isn’t able to absorb the water fast enough. A better way is to water deeper but less often, which reduces soil compaction and encourages aeration and better, deeper rooting. This can be done through a long, slow soak or in several short sessions spaced about an hour apart, which permits the water to soak deeper into the ground. Remember to water only as often as necessary, letting the soil dry between each session to further promote root growth and soil aeration. At Edward Gosman & Associates, we strive to make your landscaping as environmentally sustainable as possible. If you need an irrigation system installed or would like advice on landscaping options that use less water, contact us today at 757-421-2500. With our knowledge and expertise in landscaping and landscape design, we can answer any question you may have. This entry was posted in Residential Landscaping, Yard Enjoyment on June 21, 2017 by Edward Gosman & Associates. When you have been in business for over 30 years, you’ve heard just about every question there is. While many of them are related to specific projects, there are a few more general questions that we at Edward Gosman & Associates would like to share to help you gain insight into what makes our business so successful. Do you do commercial as well as residential work? While we love working with homeowners, we also have the expertise and experience necessary to meet the challenges of designing and maintaining landscaping for commercial properties such as apartment complexes, condos, shopping centers, and baseball fields. Our high-quality, professional results are beautiful as well as functional. How does Edward Gosman stand out from other landscaping companies? As a second-generation, family-owned and -operated business, we understand the importance of strong relationships. At Edward Gosman & Associates, we want the clients we work with to be more than just a number or a paycheck. Instead we endeavor to build long-lasting relationships, working with homeowners, property owners and property managers alike. Our loyal staff is dedicated to providing our clients with personalized service of the highest quality – guaranteed! In addition to residential and commercial property maintenance, Gosman also offers a variety of other services. 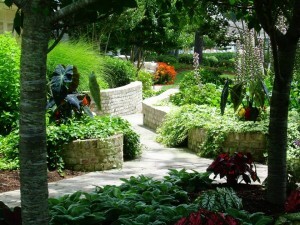 These include landscaping, hedge trimming, sod planting, flower planting and maintenance, and gardening services. 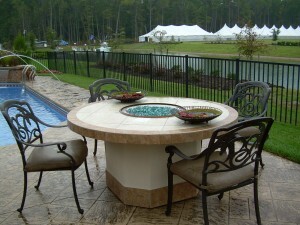 We also build patios and decks. With winter wrapping up and spring landscapes beginning to come to life, now is the perfect time to consult a professional on how to make your property the showplace it deserves to be. Contact Edward Gosman & Associates today at 757-421-2500 for an evaluation of your yard and a plan custom-designed just for you. This entry was posted in Uncategorized on March 22, 2017 by Edward Gosman & Associates. If you have recently moved into a new home that you love, but it comes with a yard that leaves a lot to be desired, it’s time to begin designing a new yard. Start by gathering together landscaping ideas and tips, then sit down and work out your plan of attack. If you’re lucky, by this time next spring you could be enjoying the yard of your dreams! Put your plan down on paper. A detailed drawing is a great tool to refer to as you are working on your landscape design. It will help you envision what it will look like in the end, and can easily be referred back to if you need to check on something or make any changes. Ask a professional. 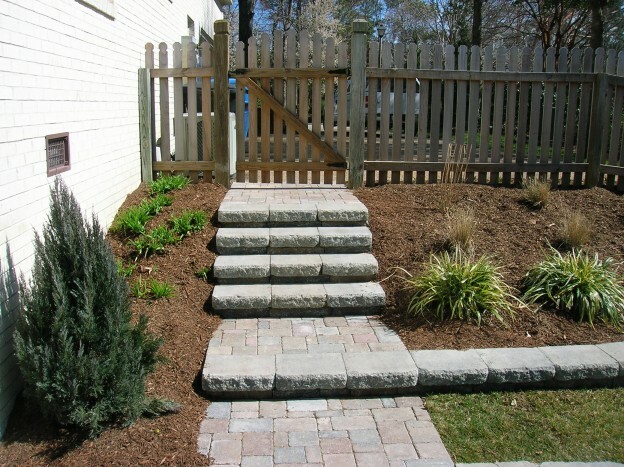 It’s a good idea to consult with a professional from a landscaping company before you start implementing your design. Even if you’re not able to hire them to do all of the work on your yard, you can still benefit from their years of experience, and they can get you pointed in the right direction. Don’t choose plants and flowers based on looks alone. It is essential to do your research to determine which plants will thrive in your region. Take note of how much sun and shade they will need; if your yard is shady, plants that do best in full sun should be avoided, and vice versa. Soil composition and the amount of care and attention required should be considered as well. Winter landscapes don’t have to be boring. By thinking ahead with your planning, you can develop a landscape that has beauty and color even in the dead of winter. A well-planned pathway can add interest and contrast by breaking up the dull expanse of your yard, and evergreens and bushes that produce brightly-colored berries will give your yard a little cheerful color. If you don’t have a green thumb, or simply lack the necessary time or expertise to make a great landscape, give Gosman & Associates a call at (757) 421-2500. As experts in landscape and design for over 30 years, we can give you a yard that you’ll be proud to own. This entry was posted in Residential Landscaping, Yard Enjoyment on February 28, 2017 by Edward Gosman & Associates. Caught in our busy lives, it can be difficult to find the time or place around our homes to simply relax and recharge. But this “oasis” at home is more attainable than you think, and it could be hiding right in your backyard! 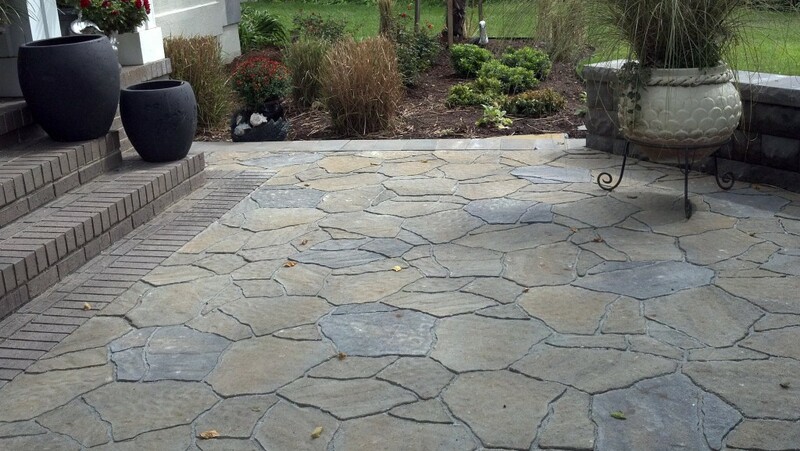 Your yard may seem like nothing special now, but the possibilities are practically limitless.This can sometimes feel overwhelming to homeowners, and that’s where our decades of experience help — you don’t have to imagine all the possibilities or know what you want — we’ll help figure that out. 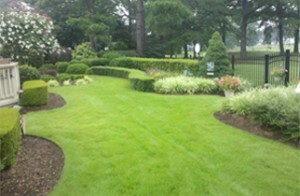 Edward Gosman & Associates is the trusted choice for landscape improvement projects throughout Hampton Roads. Here are a few of the ways we have helped our clients find more peace and relaxation in their outdoor spaces. 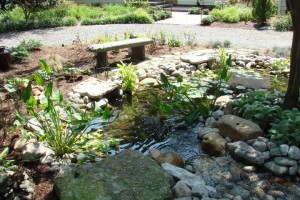 Incorporate water features. For centuries, cultures around the world have used flowing water for its calming effects. A small pond, a fountain, a swimming pool or hot tub can give your backyard a spa-like feel. Invest in comfortable seating. Outdoor seating doesn’t mean you need to compromise comfort. There are plenty of options for chairs, benches, and chaise lounges with cushions to match your style, while also being cozy and weatherproof! Add a small café table and you have the perfect spot for a cup of coffee or glass of wine. Take the inside outdoors. One of the most functional ways to create an outdoor living space is by bringing elements of the kitchen or living room outside. Custom designed fire pits are growing in popularity for a reason – they allow families and groups of friends to gather and have fun, no matter the season! Light up the night. When the sun goes down, you don’t need to go indoors. There are all kinds of varieties of outdoor lighting options that can be added to your landscape. From string lighting, automated or solar-powered lights, ceiling fixtures, spotlights and so much more, we’re happy to help you decide the best ways to add safety and ambiance to your yard. Think of your patio or backyard as an extension of your indoor spaces, rather than areas completely separate from the home. If you’re gathering with the family, entertaining guests, or simply enjoying some quiet time to read or rest, there is nothing quite as relaxing as fresh air and the sounds of nature. By keeping the above list in mind, you’l l always have a retreat available to you by simply stepping outside! This entry was posted in Uncategorized and tagged landscape, Landscape Design, outdoor lighting, outdoor living, patio, walkways, water features on December 7, 2016 by Edward Gosman & Associates.